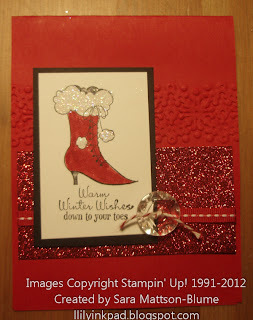 Lily's Ink Pad: Get Those Winter Boots On! Accessories: Real Red Stitched Grosgrain Ribbon, Vintage Faceted Designer Buttons, Baker's Twine, Dazzling Diamonds, Two-way glue, Big Shot, Delicate Designs Folders. Fun and sassy. We used the two-way glue pen to apply Dazzling Diamonds to the fur. Easy application! 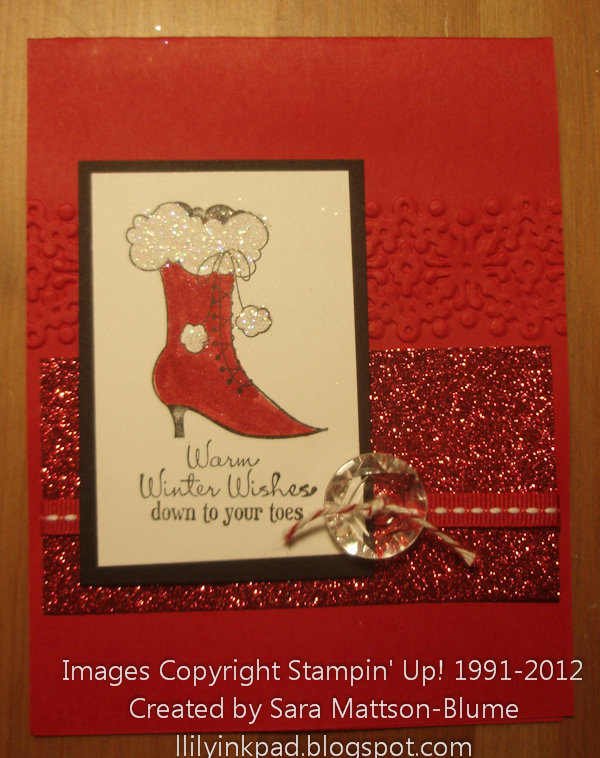 The Glimmer paper added that extra pizazz! Super cute! Love all of the red sparkle!